Ready to do some Online Marketing? Good for you! One of the first things to know about online marketing is that you don’t have to do everything! Matter of fact, you will be wasting your time if you do. My goal is to get you to the top of your game…on just one or two platforms. So first, let’s get you started in the right direction. 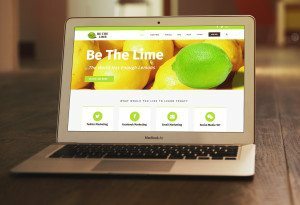 Step One: Sign up for the Be The Lime eletter! This is where I pass on some pretty cool tips and strategies you can use right away to promote yourself or your business. Step Two: If you are a “listen in” kind of person, check out the Podcasts here. Great place to start and get a great overview. You can listen right here on this site or you can download them from iTunes for later. These are, no doubt, the hottest areas of social media and will have the most immediate impact on your business. Now, certainly there are others. Pinterest and Instagram to name a few. We will cover those a bit later.